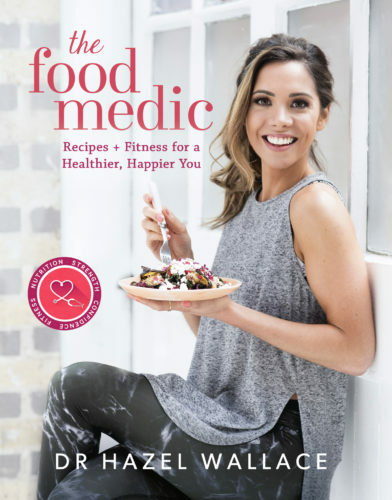 I am so excited to announce that I will be contributing to Womens Health with monthly columns and recipes online. This month we are kick starting with the topic of Irritable Bowel Syndrome (IBS). 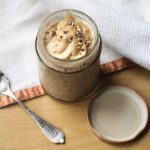 As part of this topic, I’m sharing my favourite recipe for overnight oats with some tweaks to make it as tummy friendly as possible. This recipe uses a salted caramel drizzle made from tahini, a paste made from sesame seeds, and maple syrup. If you’re not keen on maple syrup substitute this ingredient for honey. I used the former as it’s a low FODMAP food if high enough quality, therefore it’s less likely to aggravate symptoms of IBS. 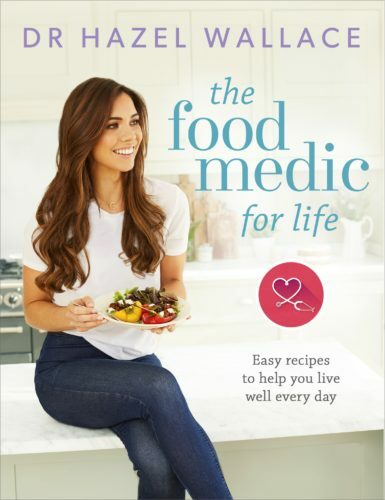 I’ve taken this recipe from my first contribution to The Womens Health Website, read more here. 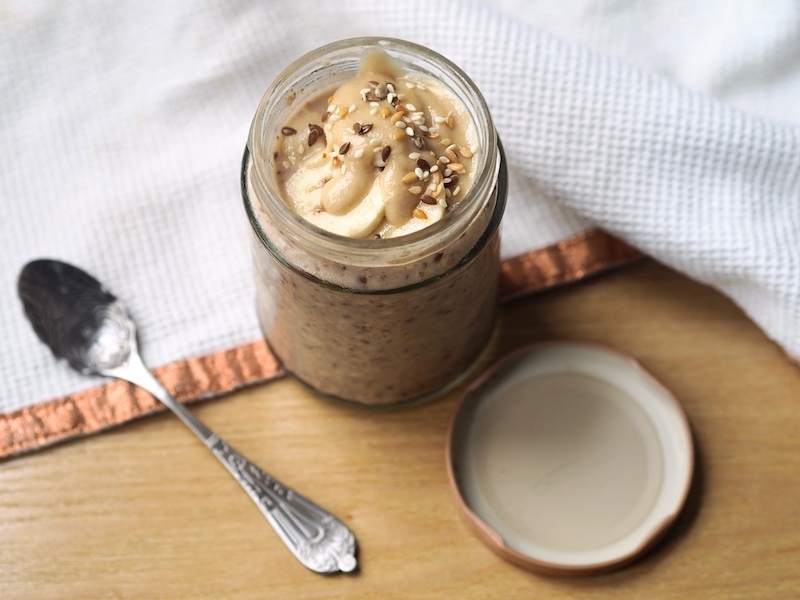 Banana overnight oats with salted caramel sauce. 1. Take the banana with the skin on, and cut it in half. Place one half in the fridge and peel and mash the other half with a fork. 2. Add the mashed banana, flaxseed, oats, cinnamon, vanilla and almond milk in a bowl and mix until combined. 3. Pour the mixture into a jar with a lid and place it in the fridge for at least 4 hours but ideally overnight. 4. Meanwhile, make the salted caramel topping by placing the tahini, maple syrup, and almond milk in a small saucepan over medium heat. Bring to the boil, stirring every few seconds, and take it off the heat. The mixture should be a thick syrup consitency. 5. Chop up the left over banana and place the banana and salted caramel topping on the oats. You can either eat your overnight oats straight from the jar or spoon them out into a bowl and enjoy it before you leave the house.